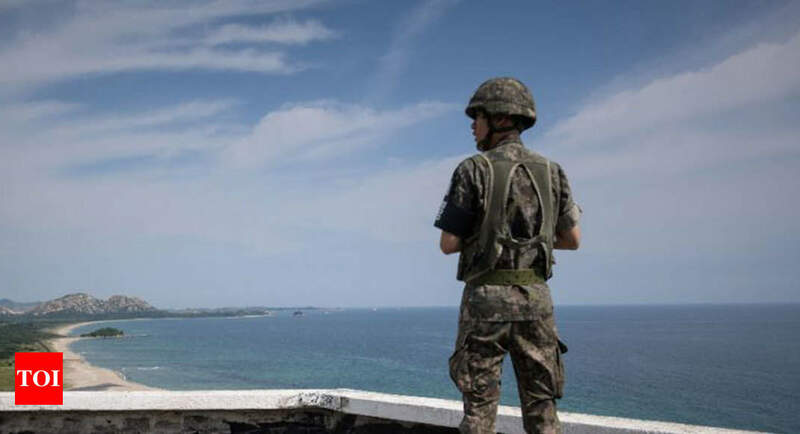 SEOUL: North and South Korea have agreed to close some guard posts along their border on a trial basis, Seoul’s defence minister told parliament Tuesday amid a rapid diplomatic thaw. Song Young-moo said the South would withdraw around 10 guard posts as part of confidence-building measures following the landmark summit between North Korean leader Kim Jong Un and the South’s President Moon Jae-in in April. “What it means is that we will first withdraw one or two guard posts and gradually expand it,” Song told lawmakers, adding the North would take reciprocal measures. “The North and South agreed to withdraw guard posts that are closest to each other,” he added.